There are so many ways you can use your recreational vehicle (RV). 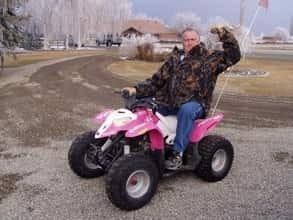 Are you are looking for a fun, comfortable form of transportation for a long distance trip or weekend camping with friends. The RV, travel trailer or fifth wheel can provide most of the luxuries of home. But imagine, for a moment, waking up to the pure sounds of nature far from cities and campgrounds and the bustle of other people. 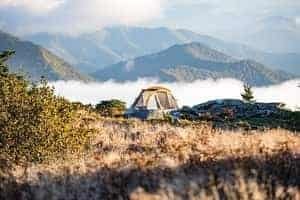 Camping outside of campgrounds, sometimes called boondocking, with your RV is a great way to experience this kind of nature. However, boondocking requires quite a lot more planning and preparation than the more traditional RV camping involves. When you really want to get away from it all, boondocking in the wild can be a very fabulous experience. This is not for the faint of heart away from campgrounds and towns. There generally aren’t any electric hook-ups or water supply. In most cases not even easy access to a store to pick up the small forgotten things. There are lots of things to think about when planning a “wild” camping trip. First, decide where to camp and second, determine what you need to bring. For most boondocking experiences, you’ll want to pick a spot not too far from a paved road and not too hilly. Once you’ve found a spot you like, be careful how you set it on the site. Here are some basic tips you’ll need to know when boondocking with your RV. Once you have found the area you want, how you set up your camp can make a big difference. Sun – When you park your rig, think about how the sun will hit your windows. On chilly days take advantage of the sun as much as possible so it hits your windows. If you expect hot weather, it is a good idea to keep your windows on the shady side. Wind – If you choose a site where the wind consistently comes from the same direction, park in such a way that the camper itself acts as a wind block for the communal gathering area. Rain / Terrain – You’ll want the actual camping site to be as flat as possible. Make sure and bring all the tools you need to level your rig on site. Also, consider what will happen to your campsite if it rains. Will water pool and turn into a mud bath or will it run off into another area? 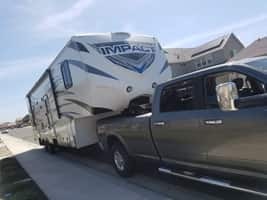 Remember most sites are not designed for RV camping. So getting your rig in and out in wet weather may be a challenge. If you get stuck and need help, cell phone coverage may be spotty so getting help could be a hassle. 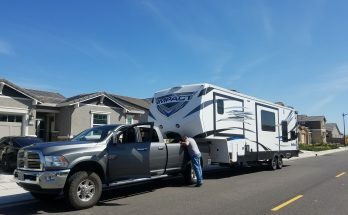 The best part of owning an RV is the freedom it provides. Campgrounds are great but sometimes you need to go wild. 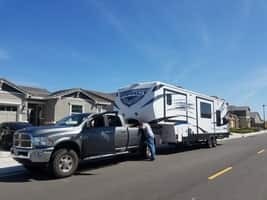 Next Article Boondocking Around Carmel California!